This study is about the aporia between cosmopolitanism as a sign of justice and cosmopolitanism as the consumption and display of international luxury items and cultural production. 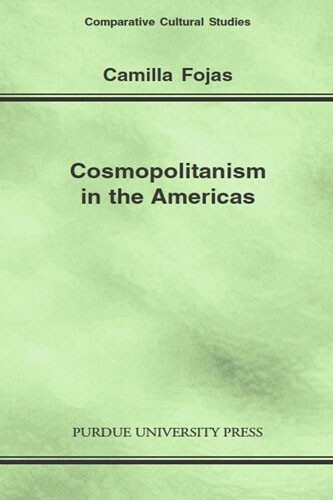 Turn-of-the-century Pan-American cosmopolitanism described international aesthetic culture and fashion drawn from major world cities, but it was also implicitly political, it held a promise of justice in the acceptance and coexistence of difference. Although unrepentantly elitist, the cosmo-modernists transcended the genetic link between nationalisms and heteronormative versions of family often by turning to the classical model of a male homosocial. 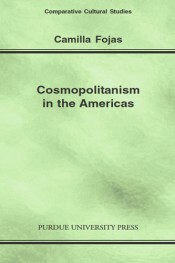 Fojas engages the work of Guatemalan Enrique Gómez Carrillo, the travel writings from the Chicago World's Fair of Cuban Aurelia Castillo de González, the Venezuelan journal Cosmópolis, and Rodó's infamous Ariel, all of which share a common principle of the practical application of cosmopolitanism. They revisit the failures of Eurocentric cosmopolitanism by rewriting them, recasting them for a new audience, and generally making use of them for their own purposes. But, above all, they grapple with cosmopolitanism, sometimes conceptualizing new models of hospitality and sometimes failing, nonetheless keeping the broken promise of utopic spaces and their imagined cities. These texts activate a cosmopolitan attitude by persuading the reader to be more open, more modern, and more amenable to difference. Camilla Fojas teaches Latin American and Latino Studies at DePaul University. Her areas of research include cultural, film, and media studies of the Americas within a comparative postcolonial frame of Latin America, the Caribbean, the United States, Hawai'i, and the Philippines. Fojas has published her scholarship in Comparative Urban and Community Research, Diálogo, Comparative Literature Studies and Aztlán.